Mad Max is a classic for a reason. A blighted landscape, humanity scratching out an existence, and brutal thugs that look to lord it over the scraps of what remains makes for a grim, but powerful setting. 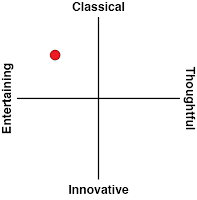 One used over and over again to explore some of the deeper ideas around our societies and our inclinations as people. And then we have Road Redemption, which tries to be Mad Max, but with absolutely none of the depth. 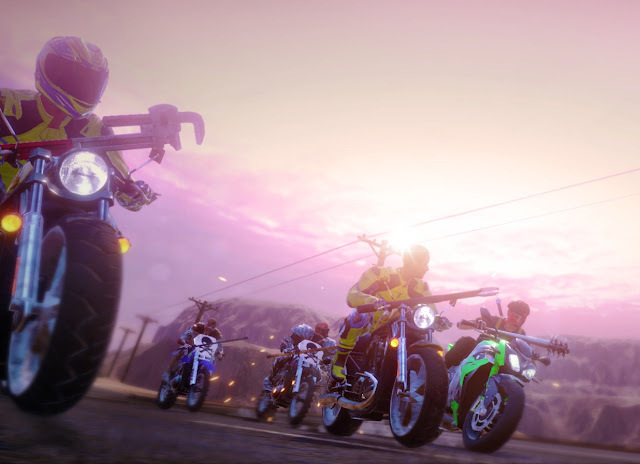 Road Redemption apes the core concept of the classic Road Rash (jump on a bike and play very dirty to take first place), with a setting, characters, and personality akin to Mad Max. You're on the trail of bandits and you, your trusty bike, and whatever you can fashion into a weapon are all alone out there on the road. Tiny bits of narrative pop up here and there to remind you of what you're doing this all for, but it's no exaggeration to say this is an example of completely insufficient storytelling. The danger with the whole "Mad Max" setting is that if it's not filled with interesting characters, the whole thing is going to be a complete bore, because the setting itself certainly lacks for points of interest. Making things worse for Road Redemption is that it's a roguelite. That's right. In lieu of carefully crafting courses to hoon around, instead, Road Redemption's developers, in their infinite wisdom, decided to randomise course design. The result is so far beyond bland that I was sick of the level design within the space of my very first track. Because racing is such a high octane sport, the courses need to be very carefully designed to allow for both skill and speed. When you can't rely on the design of the course, the only option is to reduce the demands that the track places on a player's skill, and Road Redemption is proof of that; there's no skill involved in the driving whatsoever, aside from wrestling with a "sharp turn" button that has a physics model from an entirely alien planet to earth. One that breaks most of the laws of torque, friction, and gravity itself. 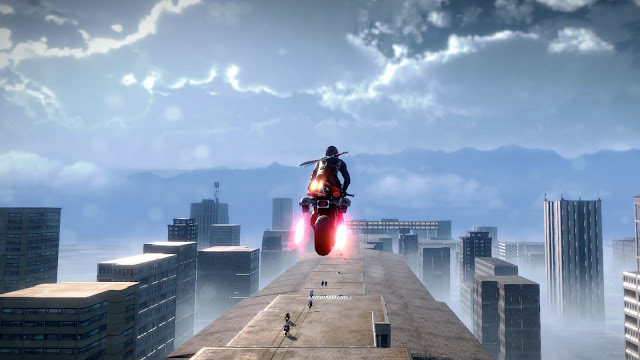 You may be able to chalk all of that up to Road Redemption as an "arcade racing experience," except most other arcadey racing games have carefully modelled tracks and a physics engine that makes sense. Mario Kart, F-Zero, Wipeout, and any number of other racing games that minimise the use of a break button still allow for skill around the tracks, and balance the raw speed of a vehicle going fast with that skill around corners. So being an "arcade racer" isn't really an excuse at all - Road Redemption's utterly pedestrian track design is entirely a result of the developers going lazy with the roguelike elements. The challenge in Road Redemption comes from the rival bikes and the need to kill just about everyone you come across. There are a couple of different conditions for victory at any given race - from a straight up time trial through to a range of conditions about how many rivals you need to slaughter - but regardless of what condition you've got, you'll be doing the same thing. You'll be trying to get as close to a rival racer as possible and hit them with something. Or perhaps use some kind of mine or other device to blow them up. Or shoot them. The point is you'll be looking to kill them. For a game that relishes in its violence, though, Road Redemption lacks for any kind of impact whatsoever. Weapons feel artificially weighty - slow to swing and hit opponents out of mechanical necessity rather than any effort to give players the impact of socking someone else with a heavy pipe. The reason that they've been made artificially weighty becomes obvious quickly; there's also a block mechanic, so you need the attack animations to time your counters. That mechanic is painfully irritating to execute however. And even when it's all working, there's still no sense of impact or excitement to the violence. If it was Mortal Kombat-esque, it would be one thing, but here it's just too mechanical to come across as anything but bland or, worse, a cynical cash-in on the fetishisation of violence in video games. There's certainly no narrative to give the violence context. 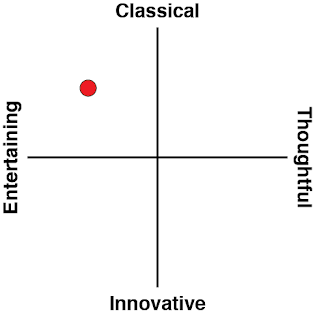 Finally, the AI is dismal. It's not as noticeable as the AI in some other high profile racers that should be better (yes, Mario Kart, I am looking at you), but that's only because you're usually surrounded by enemies and too busy grappling with the combat controls to notice. AI routines are ridiculously simple, and when the game decides an AI opponent is going to be difficult to catch, there's some ridiculous rubber banding going on where, just as you draw close, something will happen so they can speed off again. 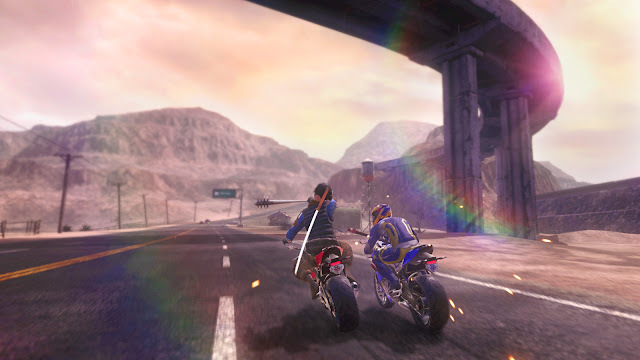 Road Redemption is at its best in four player, where at least there's some activity and movement on screen, because otherwise the AI follows such bland and dull racing lines that it's yet another issue that drags down the whole production.